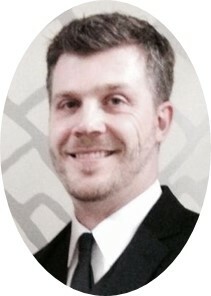 Wade Hedegard M.D. is a breast imaging radiologist with a special interest in finding ways to improve education. He is a partner at Elizabeth Wende Breast Care, one of the busiest breast imaging practices in the U.S. He has lectured at national meetings and at CME courses around the country. A voracious reader and obsessive note-taker, he feels weird writing about himself in the third person and will stop now. During my training I was shocked by the lack of resources available. I poured over dozens of big textbooks and case review books as well as hundreds of journal articles, yet still was unable to quickly and easily answer simple real-world questions. Things like "how do you work up an asymmetry?" or "what are the exact steps to performing a stereotactic biopsy?" In radiology, a picture is worth a thousand words and I have discovered that step-by-step video guides are the ultimate way to master any subject. They are filled with proven strategies for performing high-quality breast imaging and at the same time optimizing the time and effort required. Thank you for checking out our site and courses. Straight to the point. No B.S. I learned so many things today that I will use immediately. I love all the checklists and little tips! Great cases too.